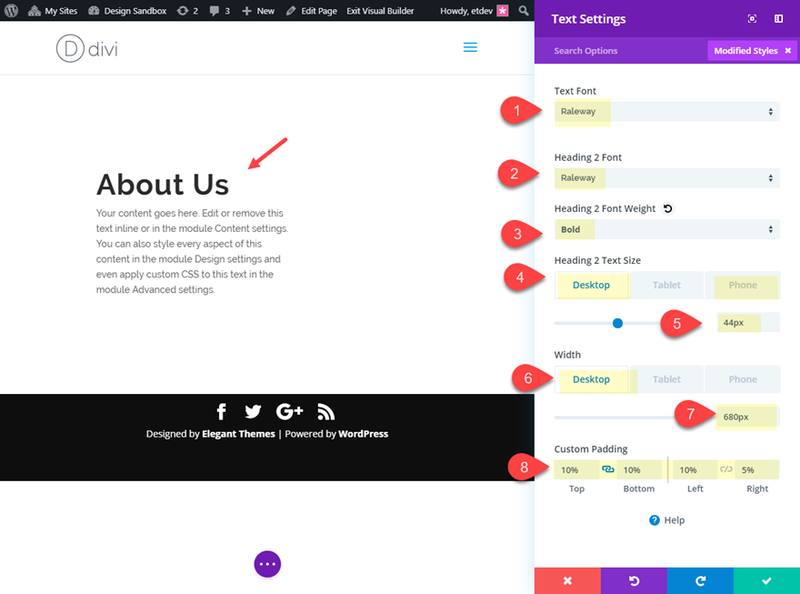 To get started, make sure you have the Divi Theme installed and active. 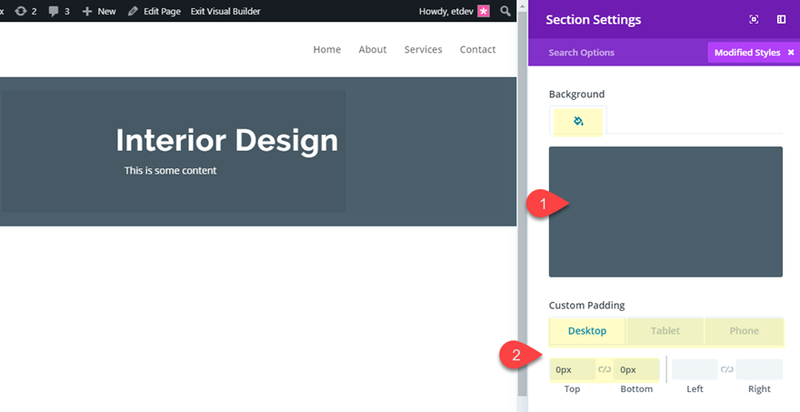 Then create a new page and deploy the Divi Builder on the front end. Choose the option “Build from Scratch”. In this first example, I’m going to show you how to position images partially outside of the viewport. This a nice way to add more of an abstract display for your images which will work much like a custom background image for your content. Then you can style the image for even more unique designs. 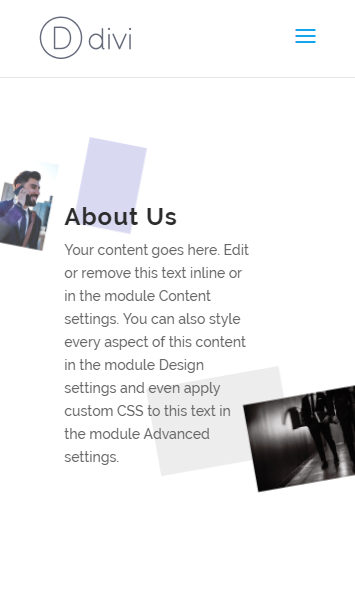 First we are going to create a text module which will serve as the main content for our section. If you haven’t already, create a regular section with a one-column row. Then add the text module to the row. Now we are ready to add the first image. 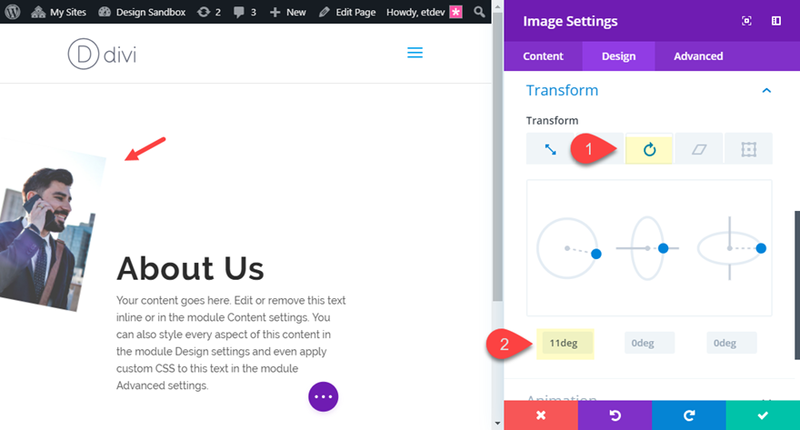 Go ahead and add an image module directly above the text module. Then upload your image to the image module. Make sure the image is large enough so that it doesn’t lose quality when we enlarge the image using the transform property. I’m using an image that is 400 by 580 pixels. Shrinking the image module like this initially allows us to cut down on the negative space of the layout. This way we don’t have to adjust the spacing using negative margins. Now we are ready to add the second image. 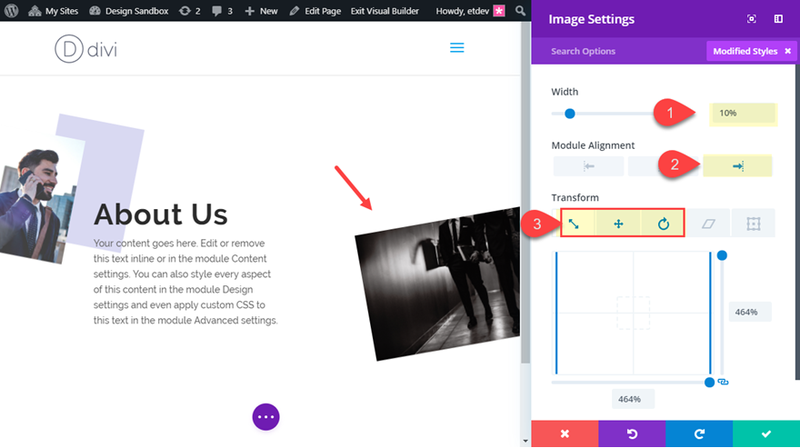 Go ahead and add an image module directly under the text module. Then upload a new image to the image module. The Width doesn’t have to be exactly 10%. All you want to do is shrink the module enough so that it doesn’t take up too much vertical space on the layout. 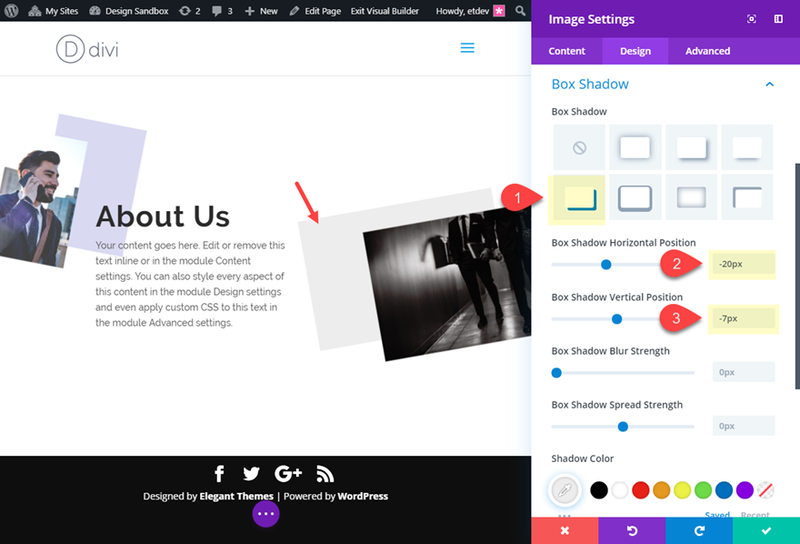 Then add a box shadow for an additional design element. We want to make sure the Text Module stays on top of the images whenever they start to overlap on mobile. 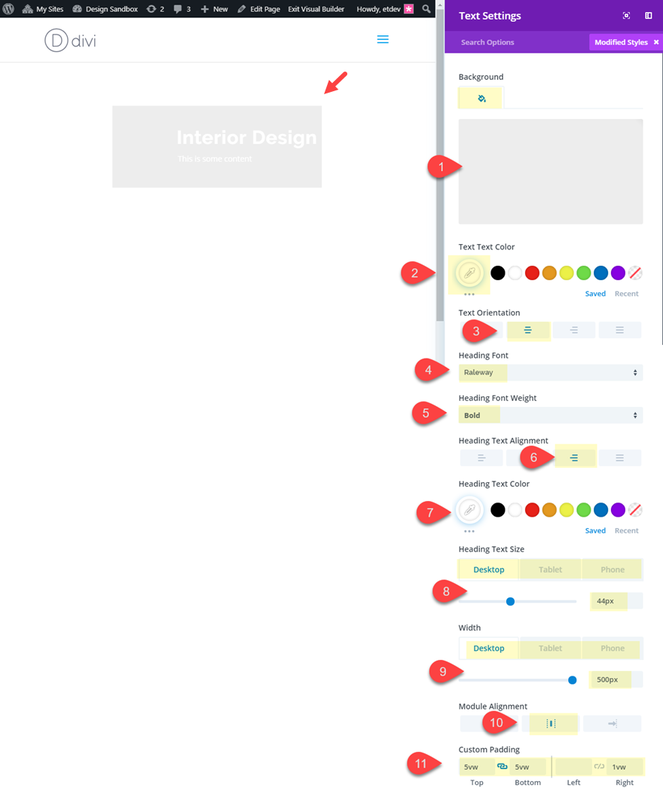 This makes sure the images continue to serve as background images in the design. Then set the Z-index to 1. 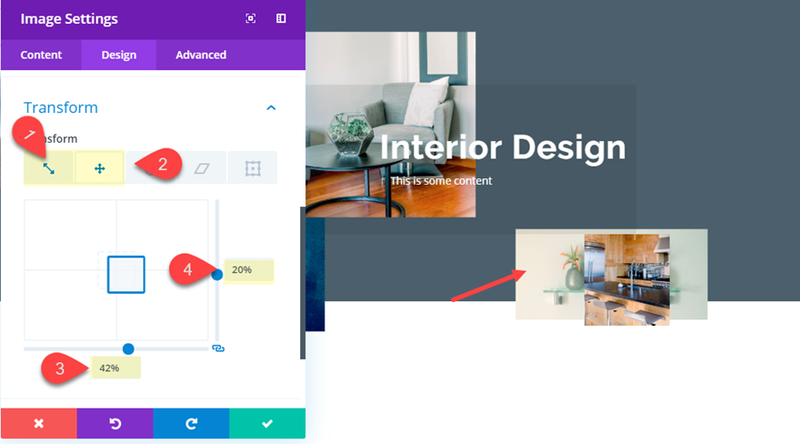 Since we will have images that are extending outside of the section of the page, the browser viewport width will increase to accommodate the extra space. This will engage the horizontal scroll bar at the bottom of the browser. 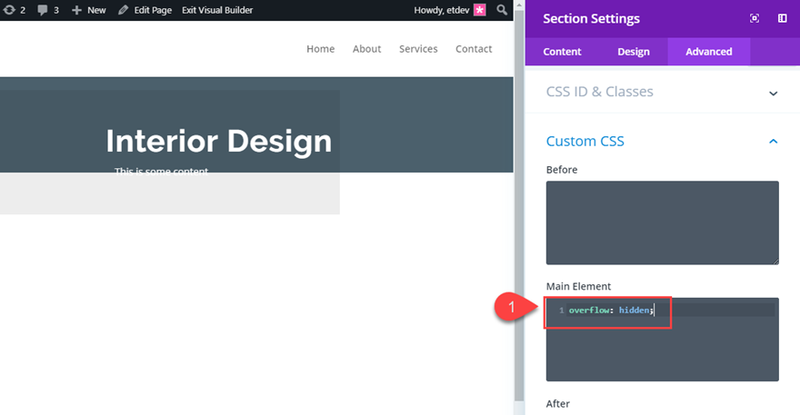 To disable this, you will need to add a snippet of CSS to the section. Now Check out the final result. For this next design, I’m going to show you how to build an abstract collage of images that will serve as a background for a header. To do this, we will use the display flex property to create a row of images that we can scale and move around in creative ways. Before adding our images and building the collage background, let’s customize our section. This will provide our canvas for completing the rest of the design. Next, add an inner box shadow to the bottom of the section with a color that matches the background of the next section on the page (in this case it will be white). This will allow us to create the effect of our images overlapping the bottom of the header into the next section (you’ll see what I mean later on). And since we will be moving images outside of the section viewport for our collage, we will need to add the following CSS to the Main Element. Now we need to add some padding to the row containing our text module. We also need to add a z-index to keep the section on top of the images we will be adding to our section. By default, every section has a z-index value of 9. So all we need to do is add a z-index of 10 to the row we want to stay on top. At this point the section is ready to start adding our images. 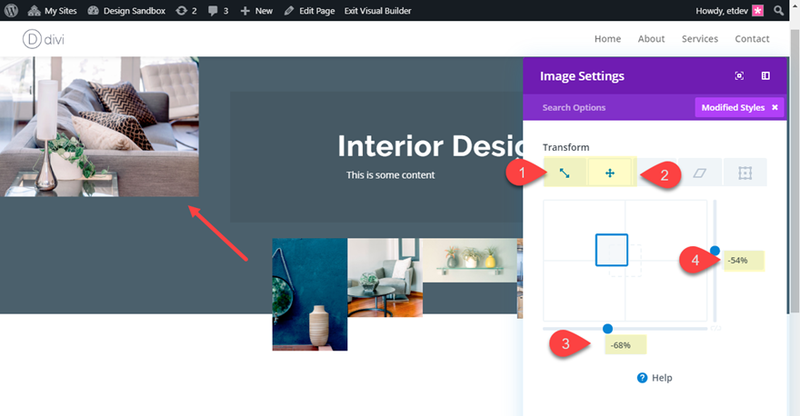 To create the abstract image collage we are going to add 5 images to a one column row and then use “display: flex” to align all of those images horizontally on the page. This is necessary to keep the images in place (horizontally) on all browser sizes. 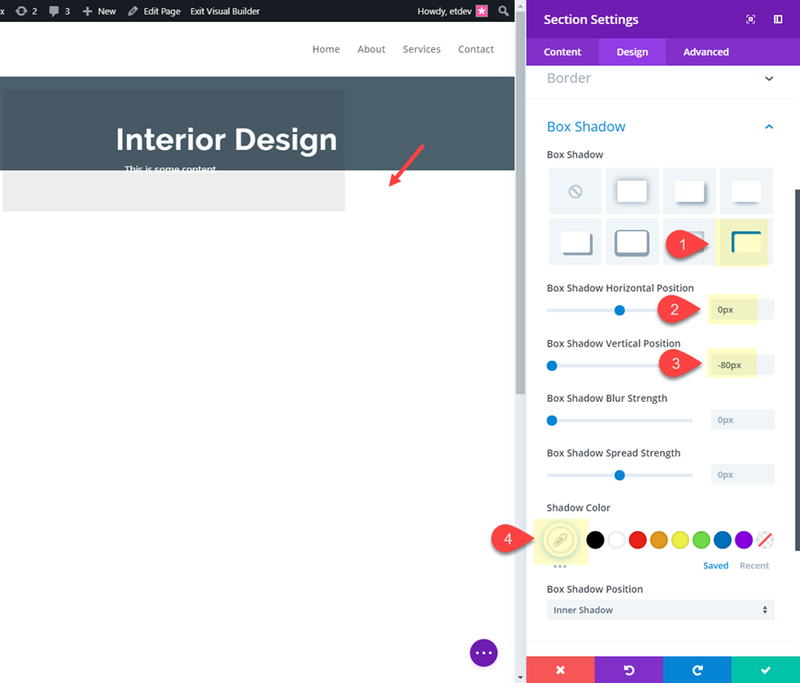 If we were to use a traditional 5 column layout, the images what break into different column layouts on different devices and break the design. 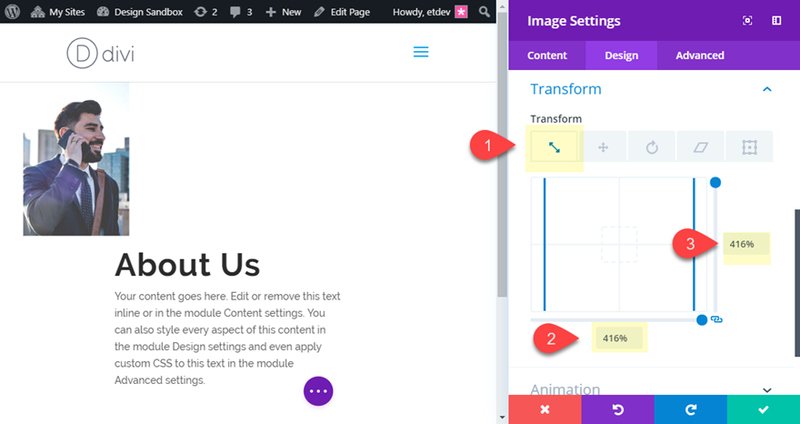 After that we will be able to style and position our images one by one with transform options. 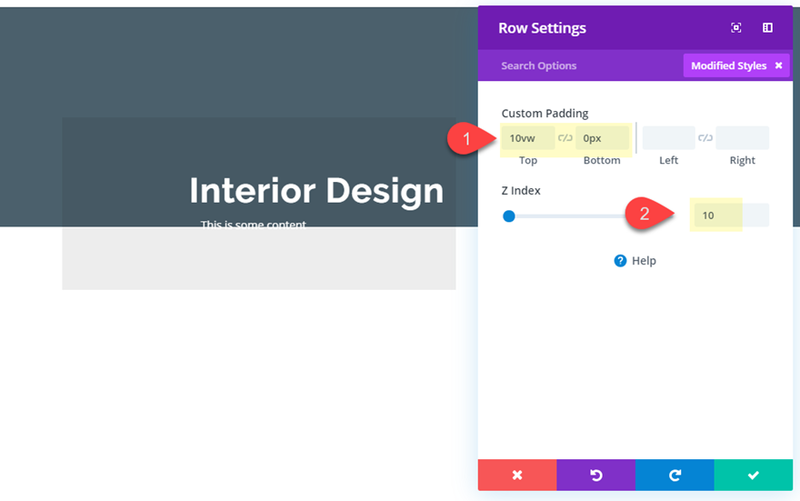 Go ahead and create a new one-column row directly under the row containing the text module. Now when you add image modules to the row, they will align horizontally. Look at what happens as I duplicate an image module in the row with display:flex add to the column. Go ahead and add 5 images to the row making sure they are large enough in size to accommodate for the size increase when scaling the image for the collage. 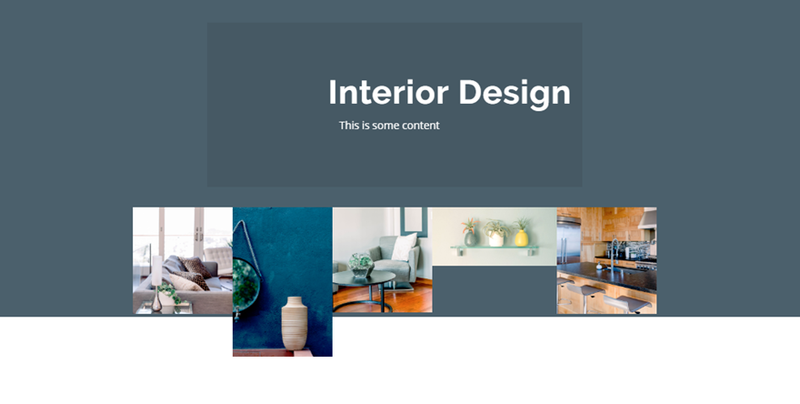 I’m using images featured in our Home Improvement Layout Pack which are all about 800px in width and vary in height. Images with different dimensions tend to make a better looking abstract collage. It’s time to start positioning our images to create our collage. 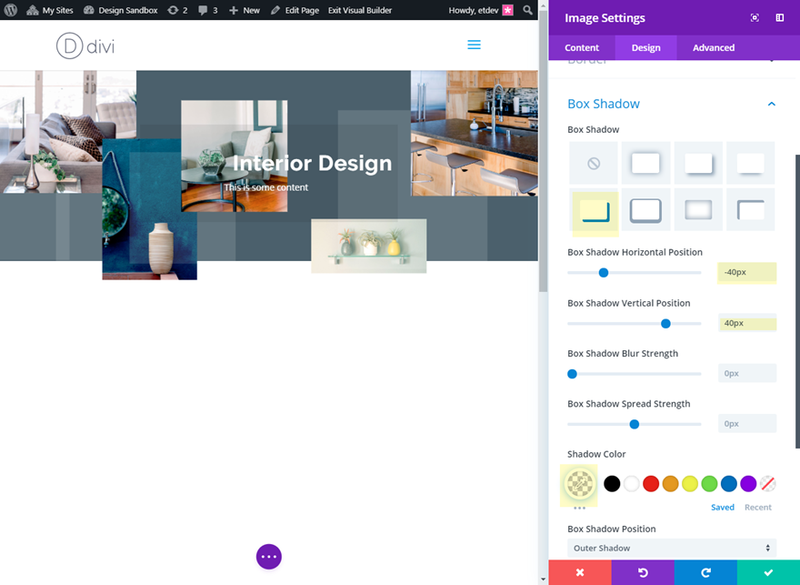 To create an additional design element, we can add a box shadow to our images. To do this, activate grid mode and use the multiselect feature to select all of the image modules. 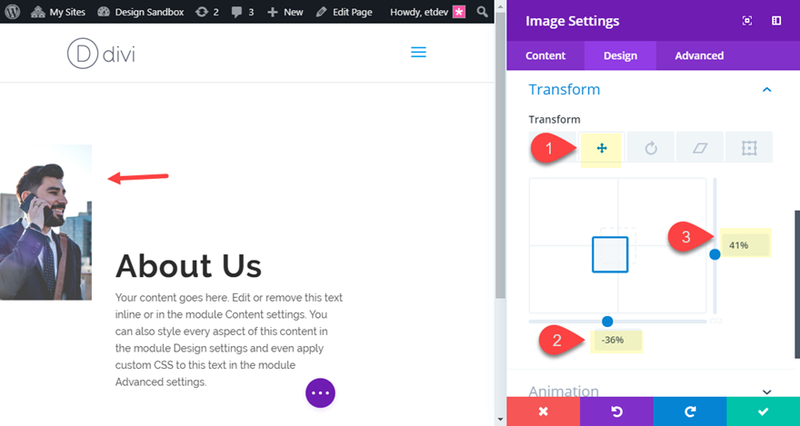 Then open the settings of one of the image modules to deploy the element settings modal. Here is the final result of the design. 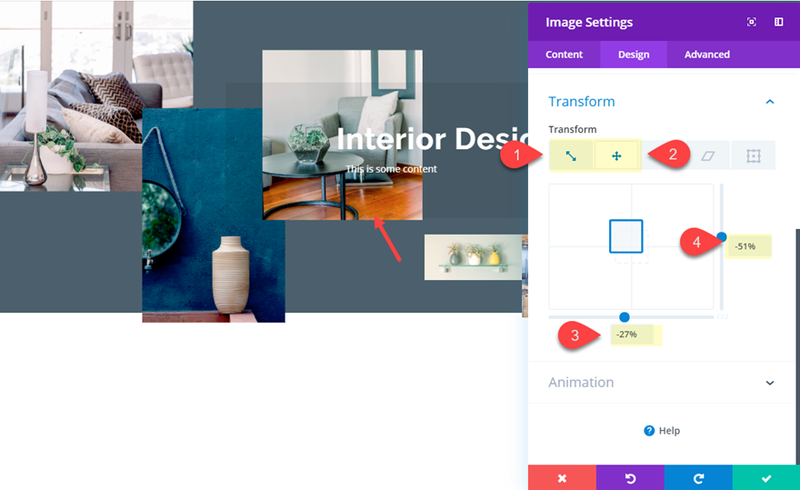 These example designs should provide you will some inspiration for how to style and position images on your website in ways you may have never thought possible outside of a photo editing software. 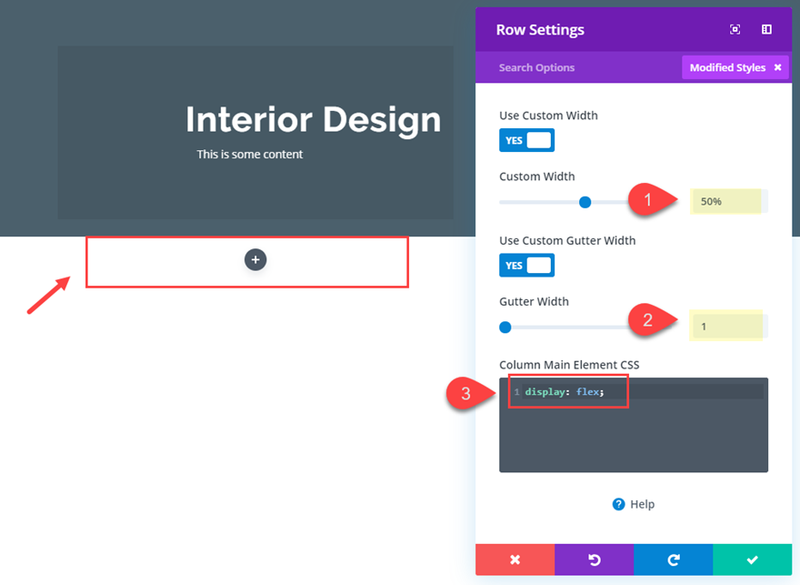 Once you learn how to properly customize your layout, Divi’s transform options can position images in unique and abstract places. Hopefully, this will come in handy for your next project. 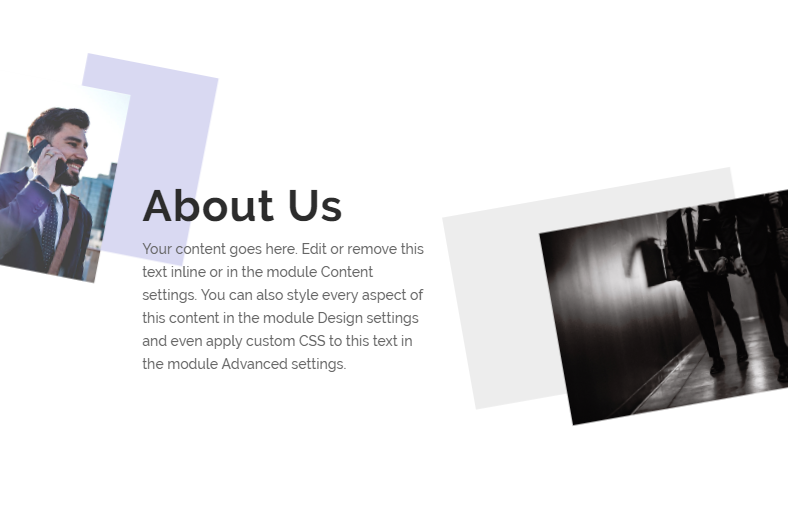 The post How to Style and Position Images in Abstract Places in Divi appeared first on Elegant Themes Blog.